This piece appears in the second of two volumes of works that Johann Sebastian Bach presented to his wife Anna Magdalena. Many of the compositions in this second volume, dating from 1725, are of questionable authorship, though they are often listed on J.S. Bach's works list. 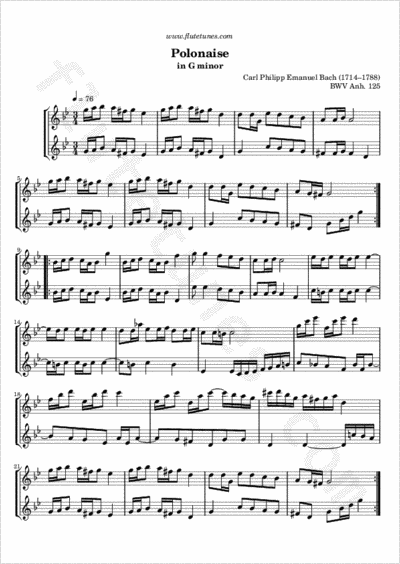 Other family members, including Carl Philipp Emanuel Bach, are known to have written some of the pieces, one of which might have been this Polonaise in G minor. Thanks to Betty for suggesting this piece!